DAVID LE/Staff photo. 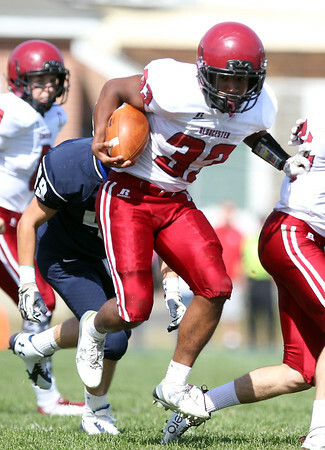 Gloucester running back Jermaine Edward (33) breaks through a hole and rushes into the secondary against Swampscott. 9/26/15.